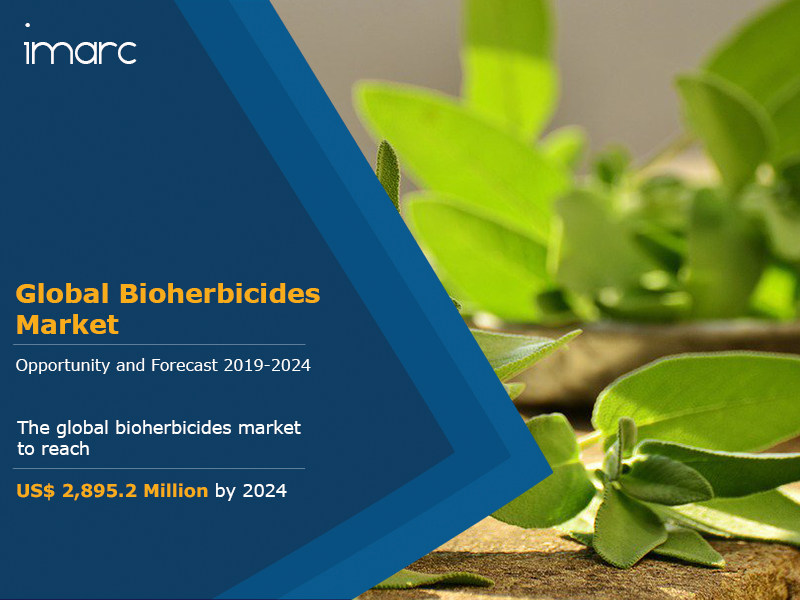 The global bioherbicides market was worth US$ 1,428.1 Million in 2018. Herbicides are a type of pesticides used for killing unwanted plants, also known as weeds, which consume water, sunlight, nutrients and space meant for crops. In recent years, farmers have started using bioherbicides which are bio-based weed control agents made from microbes and certain types of insects. They are environment-friendly and incur a lesser cost than conventional herbicides. Other than this, bioherbicides do not have a negative effect on crops or human health. With the emerging trend of organic farming, bioherbicides are gaining immense popularity across the globe. Over the past few years, the sales of synthetic herbicides have witnessed a decline as they have been shown to harm the beneficial flora in the soil. These chemicals have also been linked to an increased risk of cancer, birth defects and respiratory problems. In line with this, the governments of several nations have introduced strict regulations and awareness programs to encourage organic farming. This has led to a rise in the overall production of bioherbicides across the globe. Moreover, advances in genetic engineering have enabled the development of new-age bioherbicides which act against weeds in a more effective way. Apart from this, the rapid expansion of the food and beverage sector has also contributed to the demand for better-quality bioherbicides. Looking forward, the market value is expected to reach US$ 2,895.2 Million by 2024, expanding at a CAGR of 12.5% during 2019-2024. Based on the crop type, the market has been segmented into the market has been segmented into agricultural crops and non-agricultural crops. Agricultural crops currently have a larger share. Based on the source, the market has been segmented into microbial, biochemical and others. Based on the mode of application, the market has been segmented into seed treatment, soil application, foliar and post-harvest. Based on the mode of action, the market has been segmented into MOA involving photosynthesis, MOA targeting enzymes and others. Based on the formulation, the market has been segmented into granular, liquid and others. Region-wise, the market has been segmented into Asia Pacific, North America, Europe, Middle East and Africa, and Latin America. Amongst these, Asia Pacific is the biggest market, accounting for the majority of the global share. The competitive landscape of the market has also been examined with some of the key players being Marrone Bio Innovations Inc., Emery Oleochemicals, Deer Creek Holdings, Verdesian Life Sciences, Certified Organics Australia PTY Ltd, Ecopesticides International, Inc., Special Biochem Pvt. Ltd, MycoLogic, Hindustan Bio-Tech, Bioherbicides Australia PTY Ltd. and Engage Agro USA. How has the global bioherbicides market performed so far and how will it perform in the coming years? What are the key regional markets in the global bioherbicides industry? What is the breakup of the global bioherbicides market on the basis of crop type? What is the breakup of the global bioherbicides market on the basis of source? What is the breakup of the global bioherbicides market on the basis of mode of application? What is the breakup of the global bioherbicides market on the basis of mode of action? What is the breakup of the global bioherbicides market on the basis of formulation? What are the price trends of bioherbicides? What are the various stages in the value chain of the global bioherbicides market? What are the key driving factors and challenges in the global bioherbicides market? What is the structure of the global bioherbicides market and who are the key players? What is the degree of competition in the global bioherbicides market? 17.3.1 Marrone Bio Innovations Inc.
17.3.10 Bioherbicides Australia PTY Ltd.